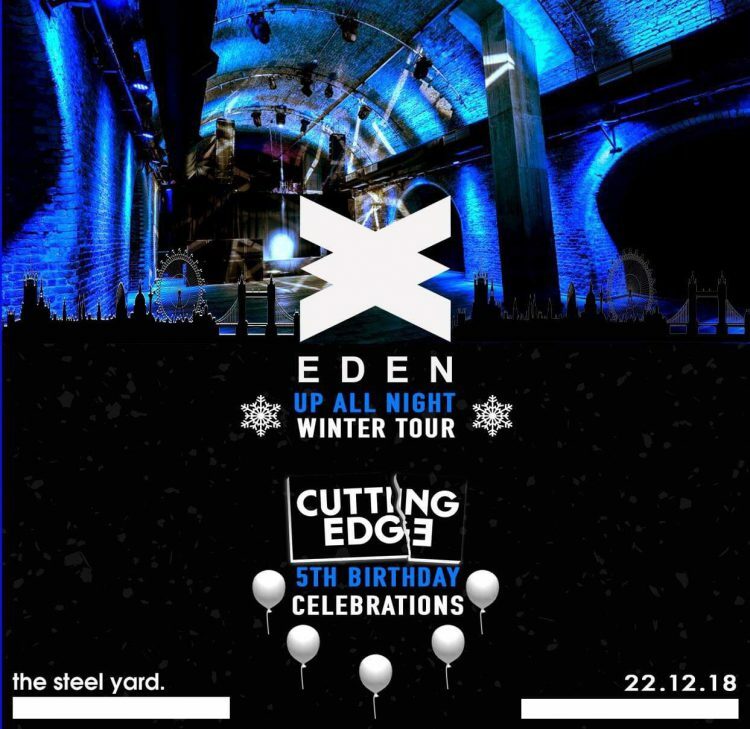 Eden will be kicking off their “Up All Night – Winter Tour” in true Ibiza Style, teaming up with their partners, Cutting Edge in a takeover of The Steelyard, London on Saturday 22ndDecember! Cutting Edge will be celebrating their 5thBirthday party with a stellar line up beneath the iconic arches of the 1050 capacity City of London venue. Eden have proudly joined forces for this event – which will not only kick off the Ibiza Club’s own UK Winter Tour – but also Christmas weekend!